You’re planning a birthday party. This year, you want to keep things simple with a paired down guest list of 50 people, a simple wine bar, and a few party platters. What could possibly go wrong? 1 . House parties over a certain number aren’t insured by your homeowner policy. So, if anything goes wrong - from food poisoning to one of your tipsy guests tripping on your garden gnome - you could be sued. Adult birthday party liability insurance will cover you if you are sued by providing a free lawyer to defend you and paying the judgement costs awarded to your injured guest. Same goes if you’re planning a holiday party! 2. If you’re throwing your birthday party at a local venue, you’ll likely need to purchase insurance, which is required by most venues. Be sure to speak to the venue about the level of coverage you’re required to obtain. 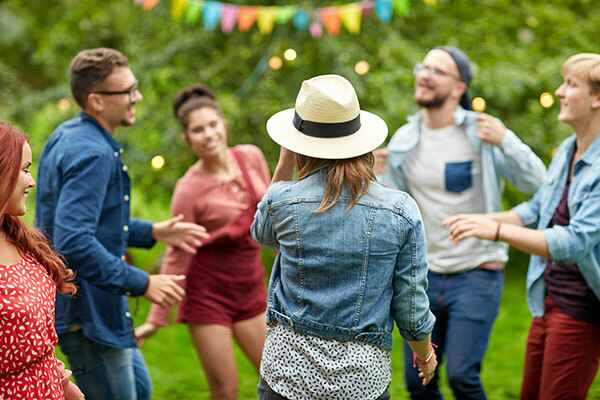 And even if you decide on having your birthday party at a local park, there are good reasons to consider purchasing insurance for a picnic party, too. 3 .You’re all set to get the party started with your rented sound system, and a few extra tables, chairs and a party tent you’ve brought in to make the bash extra special. Technically, you are responsible for anything that happens to any of your party rentals. 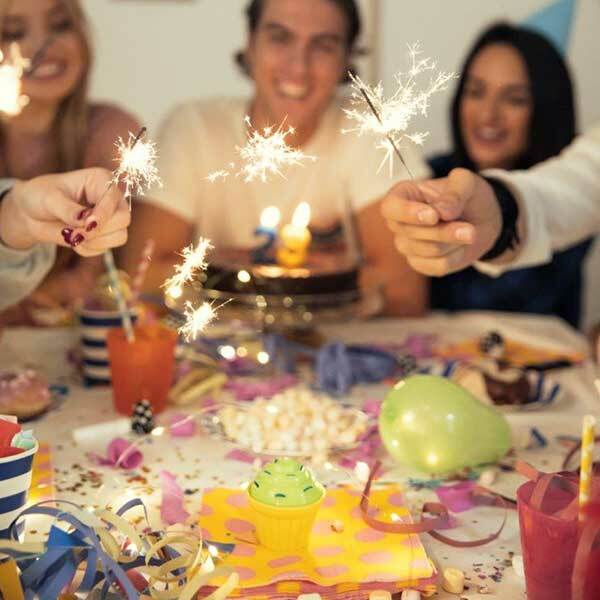 So, if your guests get a little wild, blast out the speakers, rip the tent, or break the chairs, good news: birthday party insurance covers the costs of any damages to your rented party equipment. 4. Do your generous friends tend to lavish you with expensive gifts? Well, birthday party insurance covers you here, too, if any of the gifts are stolen. Believe us, party theft happens a lot more often than you’d like to think. While insurance may not be top of mind when you’re planning a birthday party, there really are countless ways it can save you money, help you avoid hassles with your vendors, and even prevent conflicts with any potentially injured friends or family. It is good planning to consider adult birthday party insurance. No-one wants to think of what might go wrong; however, events do sometimes have to be cancelled or the unexpected happens. You may find yourself being served with a lawsuit from your friends or family for a wide range of different reasons and Front Row event insurance is there to help make sure that you do not lose money – or sleep - as a result. Does your venue require you to provide evidence of short term event insurance? Read your rental contract before you sign it. Are you hosting the party at home? Check with your home insurance broker to see if you are covered. Parties over a certain size are most likely not covered. Have you rented furniture, a sound system or a marquee? Are you responsible to insure the equipment you have rented? Check your rental contracts. Your guests could trip on temporary carpeting or slip on a drink spill on the floor and injure themselves. Adult Birthday Party liability insurance will cover you if you are sued by providing a free lawyer to defend you and paying the judgement costs - up to the limit of the policy - awarded to your injured guest. What happens if your marquee blows away and injures other people in the park? Lawsuits would be covered with Adult Birthday liability insurance. Most birthday venues will require you to have event insurance in place. Often the venue will tell you in their contract the short term venue liability amount required. Adult birthday party planning should include online adult's birthday party insurance. Special event liability is available online with no need to talk to an insurance broker. Our cheap event policies start at $130 and certificates for your Adult Birthday venue are free. A one day event insurance quote is also free: a fast quote is available any time of the day or night in just 3 minutes. Adults Birthday Party planning should include online. If you will be serving alcohol at your Adult Birthday Party make sure that you request venue alcohol liability – available through our online site. Remember, as a host you are responsible for the safety of any guests. You could be held legally responsible if people consume alcohol during your adult birthday party and harm themselves or someone else. Consider how your guests will be traveling home. It’s always good planning to have event insurance because you never know when something unexpected may occur. Adult birthday insurance will allow you to fully enjoy the special day. About: Front Row Insurance Brokers Inc. is an independent insurance broker that provides adult birthday party insurance for the lowest possible cost. Should a claim occur, Front Row ensures that you receive the money you are owed per the adult’s insurance policy, as quickly as possible. Front Row has offices in Vancouver, Toronto, Montreal and Halifax and are licensed and registered in all provinces in Canada. Planning a Kid’s Birthday Party? You Should Consider Insuring It. Your guests may accidentally damage the venue you have rented. Does your venue require you to provide evidence of short term event insurance? Yikes. Check your rental contract. Have you rented furniture or the sound system or a marquee? Are you responsible to insure the equipment you have rented? Check your rental contracts. Your guests could trip on temporary carpeting or slip on a drink spill on the floor and injure themselves. What if your friend or relative is forced to sue you? Awkward? Will your homeowners insurance cover you? Probably not. 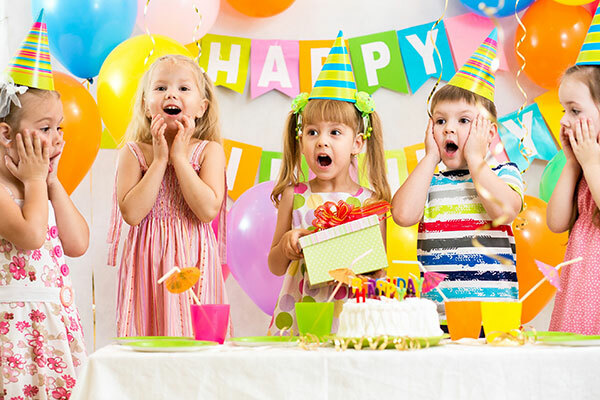 Kid’s Birthday party liability insurance will cover you if you are sued by providing a free lawyer to defend you and paying the judgement costs awarded to your injured guest. What happens if your tent blows away and injures other people in the park? Lawsuits would be covered with kid’s birthday party insurance. When hosting a kid’s birthday party, most birthday venues will require you to have event insurance in place. Often the hall will tell you in their contract the short term venue liability amount required. Kid’s birthday party planning should include online kid’s birthday party insurance. Special event liability is available online with no need to talk to an insurance broker. Our cheap event policies start at $130 and certificates for your kid’s birthday party venue are free. A one day event insurance quote is also free: a fast quote is available any time of the day or night in just 3 minutes. If you will be serving alcohol at your kid’s birthday party make sure that you request venue alcohol liability – available through our online site. Remember, as a renter you are responsible for the safety of any guests. You could be held legally responsible if people consume alcohol during your kid’s birthday party and harm themselves or someone else. Consider how your guests will be traveling home. About: Front Row Insurance Brokers Inc. is an independent insurance broker that provides kid’s birthday party insurance for the lowest possible cost. Should a claim occur, Front Row ensures that you receive the money you are owed per the kid’s birthday party insurance policy, as quickly as possible. Front Row has offices in Vancouver, Toronto, Montreal and Halifax and are licensed and registered in all provinces in Canada.